A few nights ago, I was awakened by an unexpected storm. The gusts of rain and wind were so violent that I immediately found myself in darkness as the connection to my source of power was interrupted. My gut reaction was to panic. After all, I had no clue how severe the storm might be. Naturally, I started reaching out to friends, hoping that they could somehow help me with the problem I was experiencing. One friend instantly replied that the storm would pass within five minutes. “Great! It’s almost over,” I thought. Well, twenty minutes passed and the storm was still raging. So what do we do when we find ourselves in the midst life’s storms? In a dark place? Disconnected from our source of power? With no clue of how long or fierce the storm may be? What can we do when the people we seek for help just don’t have the right answers? Psalm 37:7 says, “Rest in Jehovah, and wait patiently for Him.” (ASV). That night when I realized that I was in a storm and that I had no control over it, I finally began to lie down and just rest. I had already prayed about it. Now, it was time to trust that God would care for me and remain faithful to His word. The storm lasted all night, but by daybreak the storm had passed, I had rested, and God protected me through the process. 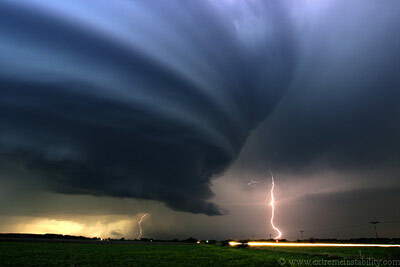 In the same way that I needed to trust God with my natural storm, we must also trust God through our spiritual storms. As Christians, we know that the enemy seeks to steal, kill, and destroy our faith in God. Nevertheless, despite Satan’s relentless attempts to take us by storm, God’s simple yet divine solution is that we rest. Of course we must prepare ourselves with the armor of God daily and remain alert to the devil’s schemes. Yet, when we have done all that we can do according to the Word, God’s desire is that we rest in assurance that He will carry us through the storm. “He who dwells in the shelter of the Most High will rest in the shadow of the Almighty…[God] will cover you with his feathers, and under His wings you will find refuge; His faithfulness will be your shield and rampart. You will not fear the terror of night, nor the arrow that flies by day, nor the pestilence that stalks in the darkness, nor the plague that destroys at midday. A thousand may fall at your side, ten thousand at your right hand, but it will not come near you…If you make the Most High your dwelling—even the Lord, who is my refuge—then no harm will befall you, no disaster will come near your tent. For He will command His angels concerning you to guard you in all your ways” (Psalm 91:1-11 NIV). Thank You for keeping me in the midst of life’s storms. Teach me how to rest and know that You are God. When I am faced with a storm, help me to remember Your servant’s words which state, “I keep my eyes always on the Lord. With him at my right hand, I will not be shaken…my body also will rest secure, because you will not abandon me.”(Psalm 16:8-10 NLT). In Jesus’ Name, Amen! Ladies, today I EMPOWER you to rest! Be assured that God is faithful to His Word and know that He is prepared to carry you through each and every storm. My first thought was, this MUST be someone for Huntsville, then I kept reading and realized it MUST be Tasha because I texted back because I too was awakened and nervous. I was already in someone else’s home, and on the second floor at that! I had a tornado flashback. I like this reminder because in the midst of that very storm, I was praying for safety. God also let me rest that night and showed me the power of his protection. Awesome post! I got chills…..God is ever present. Thanks Ladies. I love when God reminds us how He’s constantly protecting. This post carried me through a rough week. we need in the mist of a storm that if we just hold on to his hands and never let go he will forever supply ALL our needs. Great post! Latasha, this is very beautifully written! I definitely can relate to not resting in my spiritual storms. Having uneasiness in my spirit and having my mind turn all day and night are surely signs of not having any rest in my storms. I want to get to a point where I can literally SLEEP through those storms and REST assured knowing that my GOD has my back. Thanks for this wonderful piece!